Belgium’s first 2MW/2MWh commercial sited battery has been delivered by virtual power plant operator Next Kraftwerke, sustainable energy company Eneco Belgium and battery supplier Alfen, the companies announced on July 12. It is the first time a lithium ion battery will be used to deliver on-site, commercial power demands as well as providing frequency control reserve services to Belgium’s power grid. Next Kraftwerke will control the battery using its remote-control unit, which monitors and reacts to any frequency deviation from 50Hz. The system, housed in a shipping container located on the premises of Peleman Industries, will eventually be aligned with power generation from two on-site wind turbines. 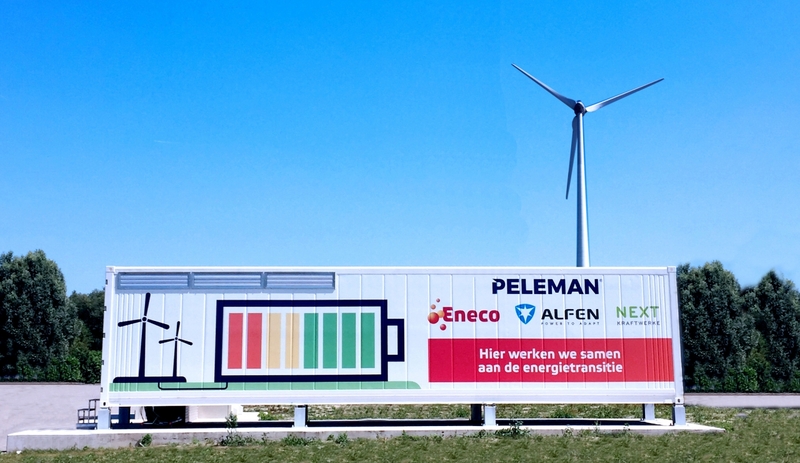 Eneco installed Alfen’s lithium ion-based ESS named TheBattery, which will allow Peleman to use its renewable generated power. Energy Storage Journal (business and market strategies for energy storage and smart grid technologies) is a quarterly B2B publication that covers global news, trends and developments in energy storage and smart grid markets.